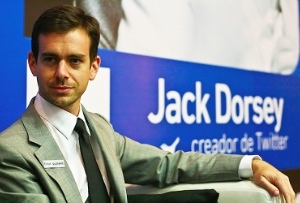 It may be Christmas but social meeja never sleeps - Twitter's Jack Dorsey is joining Disney while LinkedIn is set to take on the recruitment business. Twitter chairman Jack Dorsey is rounding off a busy 2013 with a nice little appointment to the board of legendary entertainment giant Disney. The firm has a track record of hiring the hottest of hot Silicon Valley talent so for Dorsey this is the business equivalent of landing a plum role in a Hollywood blockbuster. The late great Steve Jobs was on the board before him, and Facebook’s Sheryl Sandberg is there still. After the Twittter IPO in November no-one can accuse Dorsey of resting on his laurels, and since Square, the micropayments business he also chairs is lining up to float next year he probably won’t be having much time off for Christmas. Meanwhile in another part of the virtual forest, professional social network LinkedIn (maybe it’s a generational thing but ‘professional’ and ‘social network’ never seem to MT to be words that belong together) has announced plans to create a kind of global search engine for the jobs market. Mining data from its 250m members on where they work now, where they have previously worked and where they want to go next will apparently allow LinkedIn to create an ‘incredibly efficient’ global talent market. At least that’s what the firm’s VP for global solutions, Dan Shapiro told the FT – but he would say that, wouldn’t he? It certainly sounds like the stuff of nightmares for traditional recruitment agencies, threatening a fate similar to that which has befallen bookshops (and bricks’n’mortar retail generally) at the hands of Amazon, for example. Recruitment is of course one of the trickiest aspects of business to get right, as well as one of the most expensive and time consuming, so anyone offering to boost a firm’s hiring productivity in such a big way is pushing at an open door. It is also currently a highly fragmented market based heavily on personal relationships and sector knowledge, so it is arguably ripe for a tech-led shake-up. The market seems to think so - shares in LinkedIn have almost doubled this year, thanks in part to a 62% increase in revenues from its ‘talent solutions’ (ie recruitment) business, so LinkedIn bosses have clearly figured out that this is the way forward. Whether this shift in focus will alter users’ willingness to engage on LinkedIn remains to be seen. LinkedIn is certainly talking a good game so far. The question now is, as with the potential hire who ticks all the boxes and interviews brilliantly, can they deliver on the job?